"I was told I would never conceive naturally - then I found out I was pregnant"
As anyone who has been through fertility treatment knows, it’s a long road, with plenty of bumps and diversions along the way. For us, it meant six individual, fresh cycles of IVF/ICSI treatment. I was what they encouragingly term a “poor responder”, despite my relatively young age – 28 when we started. 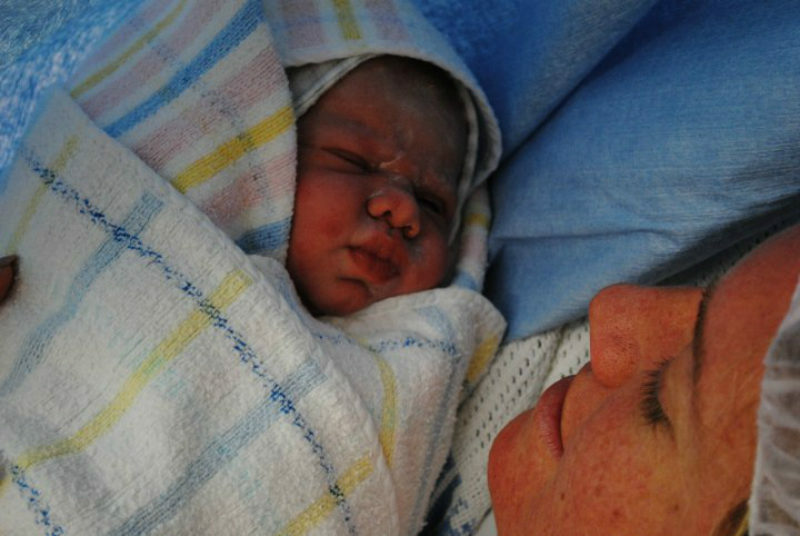 Early in the process, a despondent doctor said to me, “Have you considered donor eggs?” (I hadn’t) – and estimated my chance of falling pregnant without serious intervention to be “less than one per cent”. Three fresh rounds of hormone treatment, tweaked slightly each time, eventually produced for us first a son, and then almost exactly three years later, three more rounds produced a daughter too. There were many, many tense times and sadnesses in between, and lots of embryos that didn’t make it. There was a part of me that felt very bitter that I had been through so much when, it seemed, teenagers who were lazy about contraception could conceive babies just by looking at each other. I wanted the experience of a pregnancy that you discover yourself, in your own bathroom, and not on the phone to a lab full of technicians. But mostly, we felt fortunate. People told us how lucky we were to have our “pigeon pair” – and although I’d always imagined having three children, there was a part of me that felt I shouldn’t push my luck. Fast-forward ten months. I am just as tired as any mother of a three-year-old son and nine-month-old daughter who prefers to never sleep. And one Saturday night, I wake with dreadful stomach pain and vomiting. After two or three hours, and unable to keep anything down or to stop throwing up, we decided to take a trip to our local emergency department. For fun, and because she wasn’t yet weaned or sleeping through the night, we brought our daughter with us. Saturday night at a busy inner-Sydney hospital emergency room is really the place to be. Everyone was there along with us, all waiting to be triaged, and it took a long, long time to be seen by a doctor. Once I finally got a bed, my exhausted husband took our daughter home with him, and the questions began. Could I be pregnant? No, I explained, there was no chance of that. Long history of infertility and complications. Could it be appendicitis? One doctor assured me that I had no real need of my appendix, so after they did some tests (a CT scan was first on the list), they would just whip it out. In fact, he suggested, even if the test didn’t show appendicitis, they might just whip it out anyway – “so that you don’t need to worry about it in the future!” I wasn’t worrying about it in the present either – until now. I had a vision of registrars, greedy for surgical experience, fighting each other for the opportunity to remove all my unneeded organs. In the meantime, I waited. Could it be an ovarian cyst or a twisted ovary? That would cause extreme pain and nausea – and as they explained the symptoms to me, I feared it very likely could be that. With a history of painful cysts and endometriosis I was only too aware that another cyst might limit any (already low) chance we had to conceive a third child, sometime in the distant future, once I had had about a billion more hours of sleep. Either way, it looked like I was headed for surgery. Nobody seemed to think it was just run-of-the-mill gastro anymore. I rang my husband (it was early morning by now) and asked him to ring my mum. If I was headed into theatre with two small children at home, we were going to need some backup. About an hour later, a woman appeared by the side of my bed, and told me she was the resident gynaecologist. She held a piece of paper with blood test results on it – and I feared the worst. I felt shaky and terrified of the thought that perhaps I was going to lose an ovary. All of sudden it seemed likely that my family was as big as it was going to get. In what must have seemed comical to her, I absolutely couldn’t believe it. I explained in great detail how I was infertile, and not just a bit infertile – properly infertile, like, six rounds of ICSI infertile. Everyone, I explained, had already told me that my husband and I would never conceive on our own. There were all kinds of problems, and a history of surgeries and all sorts of stuff that just meant that wasn’t true. My mother arrived, full of sympathy for my impending appendectomy. “Some things have changed in the last ten minutes…” I began. She couldn’t have been more thrilled, and immediately began planning her future purchases. But I was in shock. A stream of doctors passed by my bed, full of congratulations: “Wow! Do you have any children at the moment?” Yes, I explained – and the youngest is only nine months old. They all backed away slowly, grins plastered on their faces but clearly aware that it was going to take me a while to come around to my very unexpected good news. So in the end, we went from one extreme (infertility) to the other (surprise pregnancy). I learnt that neither of them is easy to get your head around! It took me months to really come to terms with the fact that another baby was on the way when I already had a baby, and even longer to look forward to it. But then she was born, and she was perfect – as every baby is. Oh, and the stomach pain? It was my gallbladder, actually. Four years later another attack sent me back to the same emergency room where the obliging doctors finally whipped the offending organ out. I was glad we all got some closure.